Those characteristics describe the real estate agents at Goggins Real Estate. Buying or selling a home can take a while, so it’s always important to make sure you feel comfortable with your Realtor. Every one of the agency’s real estate agents will work with you to make sure all your home-buying, home-selling, or commercial transaction needs are met. 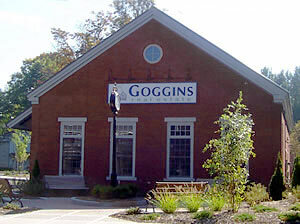 And Goggins Real Estate, just like the area it serves, embraces the diverse population of the Pioneer Valley and is LGBT-friendly. All of the agents at Goggins are experienced professionals who hold themselves to the highest standards of customer service. They know the communities they serve very well, and their commitment to those communities is evident in their wide range of volunteer activities. They’ll talk to you not just about your transaction, but also about such things as Northampton’s celebrated Restaurant Week, downtown’s fabulous Sidewalk Sales, the benefits of living in the Five College area, fun recreational and sports activities, what to do in the Berkshires, riding the Norwottuck Rail Trail, and more! Want to talk to an agent? Click here to see a list of them all, complete with their contact info.